Logo - The logo of the company receiving the payment. 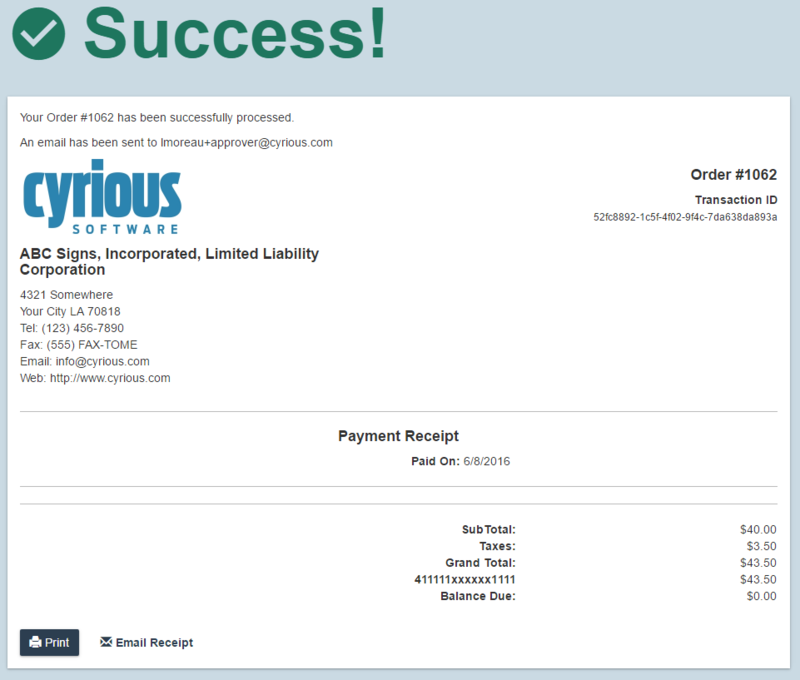 Purchase Items - The items included in the order. 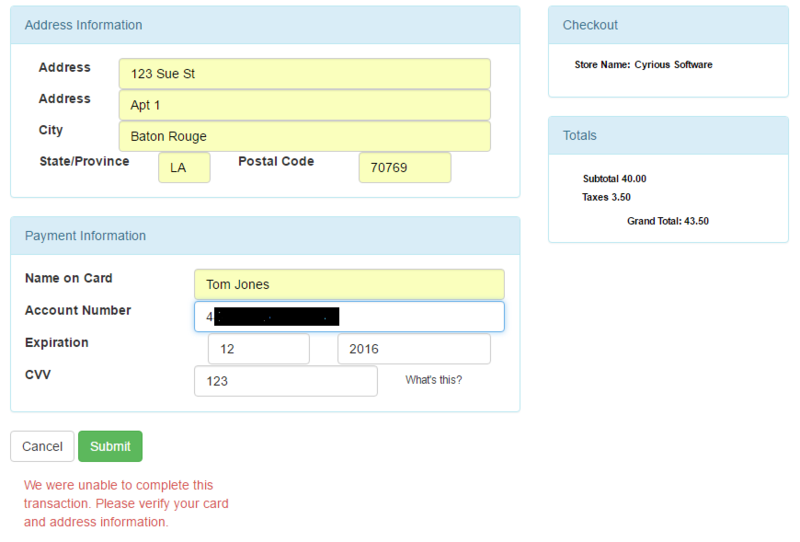 Only Parent line items from the order are displayed. Totals - This area will show the Subtotal, Taxes, and Grand Total. 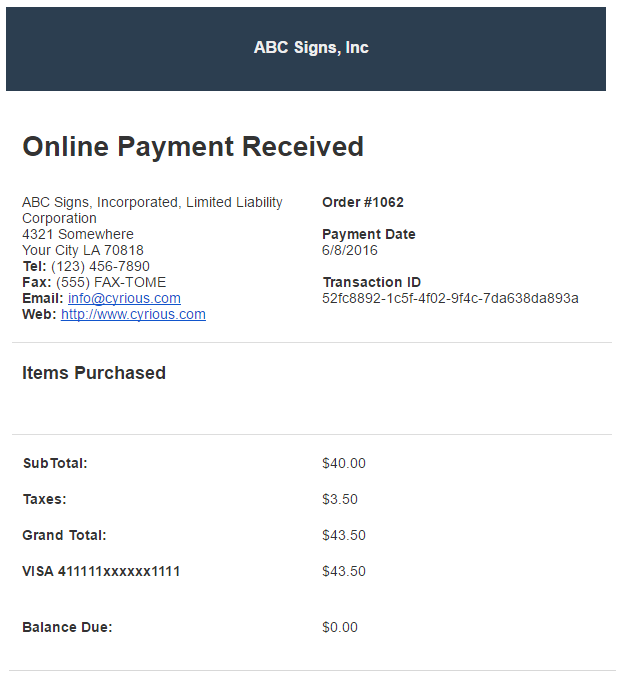 Here's an example email of what the customer would get when a payment is posted. 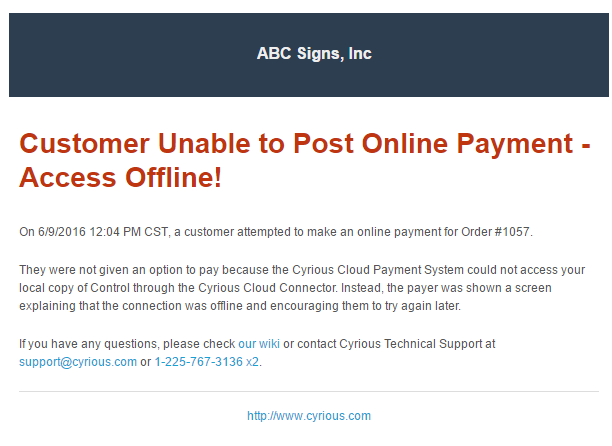 This email is sent if the Cyrious Cloud Connector is not functional and a payment is attempted, but is not able to be created. It is sent to the notification email address. 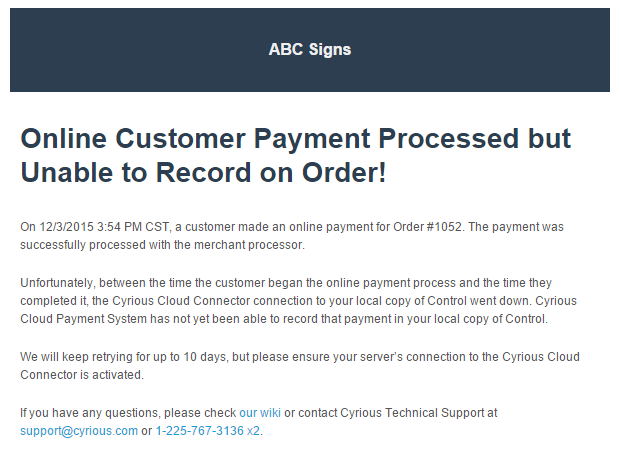 This is the message that the customer would see if the Cyrious Cloud Connector is not functional and a payment is attempted. 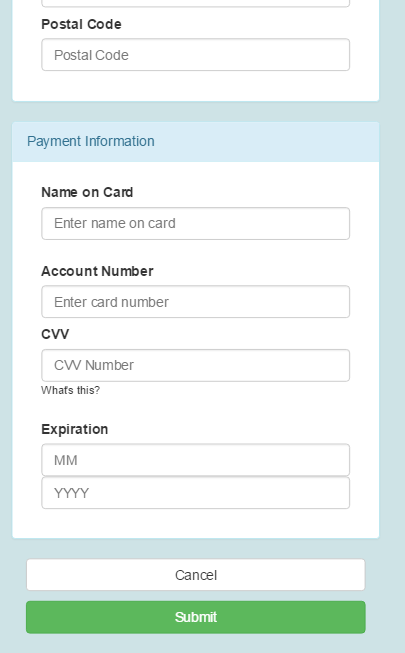 This email is sent when a payment is made Online, but cannot be synced with Control. It is sent to the notification email address. Control will continue to attempt to post the payment in hourly increments after the initial attempt. 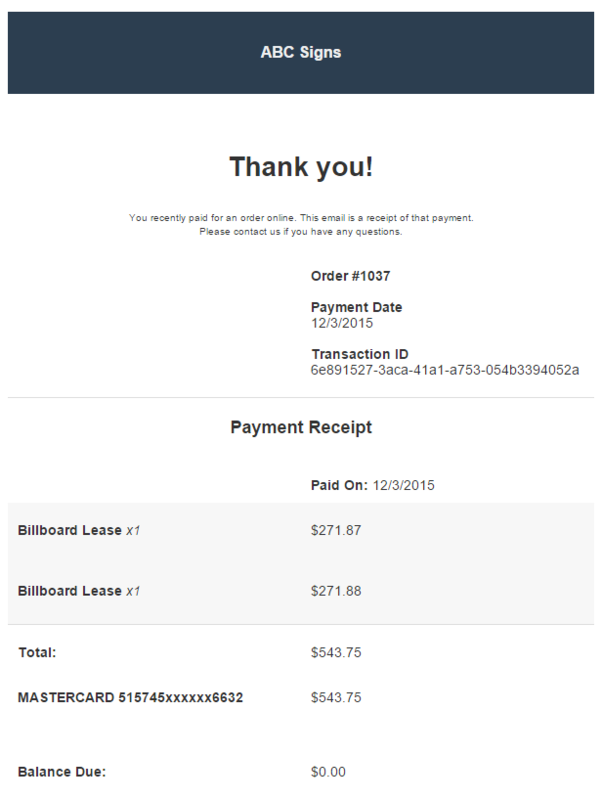 This is done for 10 days then a notification email is sent to the notification addressee.